NORFOLK, Va. — Travelers may have to take a trip to the DMV if they’re looking to fly, even domestically, after October 1, 2020. The Transportation Security Administration details on their website that they won’t be accepting standard driver’s license as a form of identification to board domestic flights. TSA says that travelers will be required to present a REAL ID-compliant license in order to travel within the U.S. The new requirement will only be applied to travelers over the age of 18. Minors won’t be required to have one if they're traveling with someone. Virginia's will be a star cutout in a black circle. 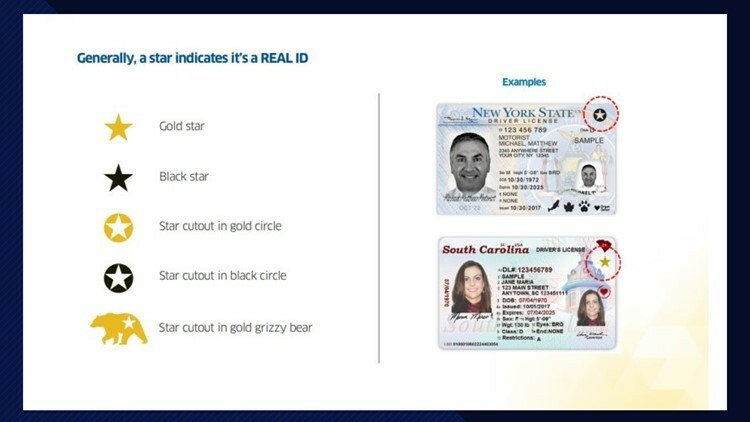 If there’s no star, then it’s likely a standard license and not REAL ID-compliant. Getting a REAL ID in Virginia will be optional, but you'll need to bring extra paperwork when you fly, go on a military base, or to a secure federal facility. To see a list of accepted travel documents, click here. If you're thinking about updating your license to include a REAL ID, keep in mind it's not free. You'll have to pay $10 for it, as well as the standard license fees. You can find out more about REAL ID on the Virginia DMV website.